Similar to the Old Knights of Heide's Tower of Flame, but they are much more aggressive and have more variety in their attacks. Sword & Shield wielders can fire a magic bolt from their weapon when you are out of their range. While the Sword & Shield wielders are able to block with very high physical damage reduction, the Warpick and Greatshield wielders are able to block with very little of any type of damage reduction. All Drakekeepers seem to have an incredibly high amount of stamina and very rarely pause in their swinging. This is specially noticeable when facing the Great Hammer variant, he can swing up to 6 times in 7 seconds. 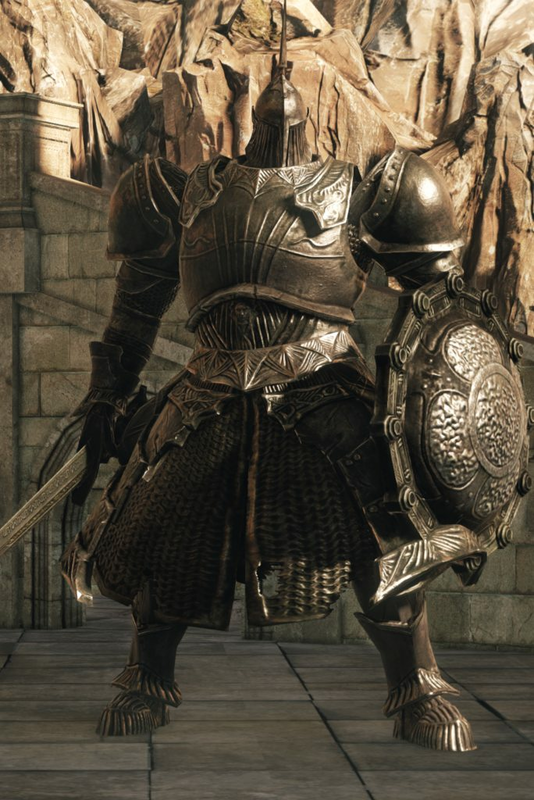 Almost every single attack from any Drakekeeper will likely break all of your poise and some attacks, such as those done with a Drakekeeper's mace, often render you unable to move for almost 3 seconds straight. It seems as though they will not drop duplicates of their weapons and armor, similar to the Mad Warrior (needs further testing).